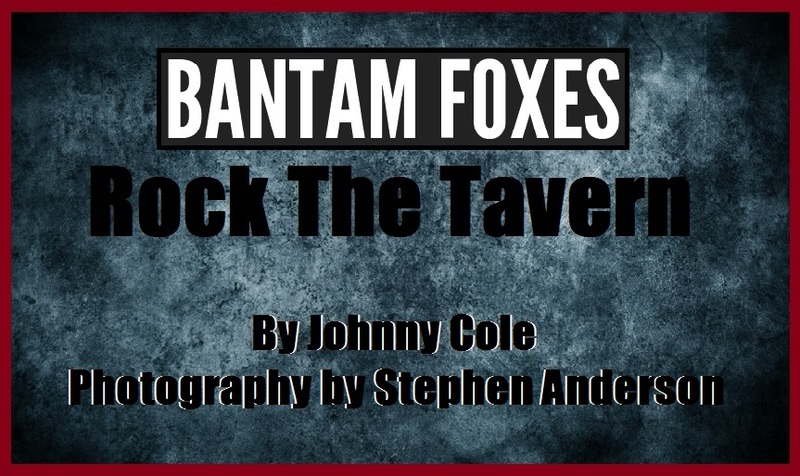 Bantam Foxes Rock The Tavern! 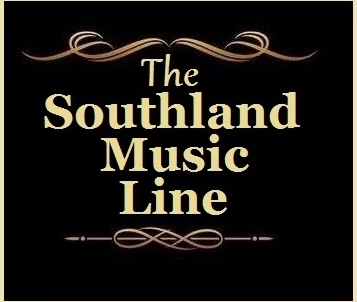 The men and women behind The Southland Music Line have seen our share of bands/musicians and have no plan of stopping. We continue seeing many, but only a few truly grab our attention to warrant further discussion. I first saw Bantam Foxes more than a year ago at a performance in Mobile, AL. Months later, I had the privilege of seeing them again in New Orleans on the same bill as The Wooden Wings at The Freret Street Publiq House. 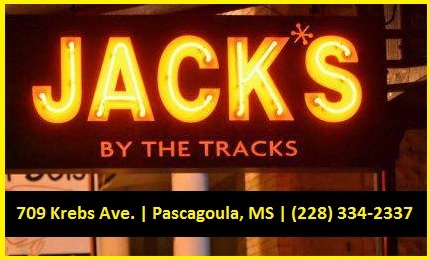 I had gone to New Orleans to see The Wooden Wings perform their homecoming show after a successful Summer Tour, but was soon reminded of how good Bantam Foxes are too. 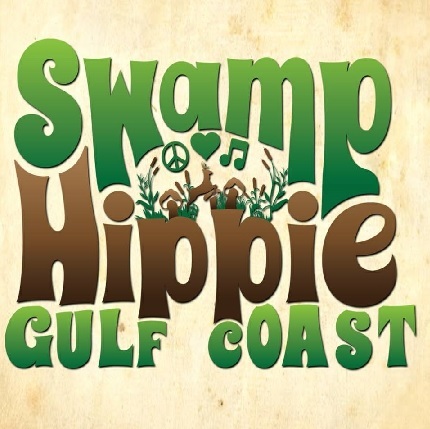 The New Orleans band made up of brothers, Collin McCabe (Bass/Mandolin/Vocals) and Sam McCabe (Guitar/Bass/Vocals) are joined by Jared Marcell on drums. 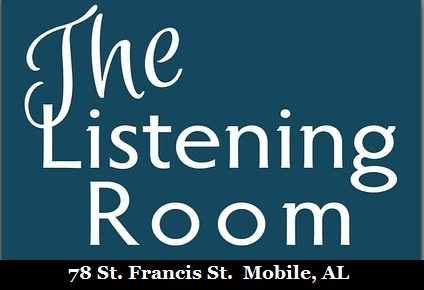 Although remembering them from the earlier Alabama show, this time around left a more profound impression on me. The night was right for music, finding both The Wooden Wings and Bantam Foxes delivering on all levels. 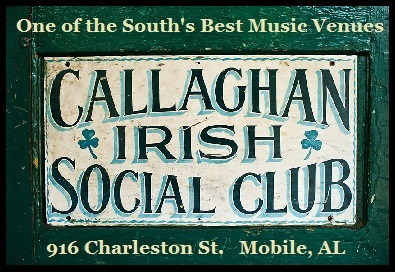 Several months have passed since that night on Freret Street, my constant schedule of travel and seeing a continuous stream of bands/musicians has prevented me from being able to arrange an opportunity to see Bantam Foxes again until recently on a Friday night in Mobile, AL at Alchemy Tavern (7 S Joachim St). At first glance, Bantam Foxes, with their somewhat unthreatening appearance, made me wonder if these guys could really rock or were they just another pretender to an already mass mixture of wanna-be Rock Stars? The answer was quickly resolved once they began to play and all preconceived notions went out the door. 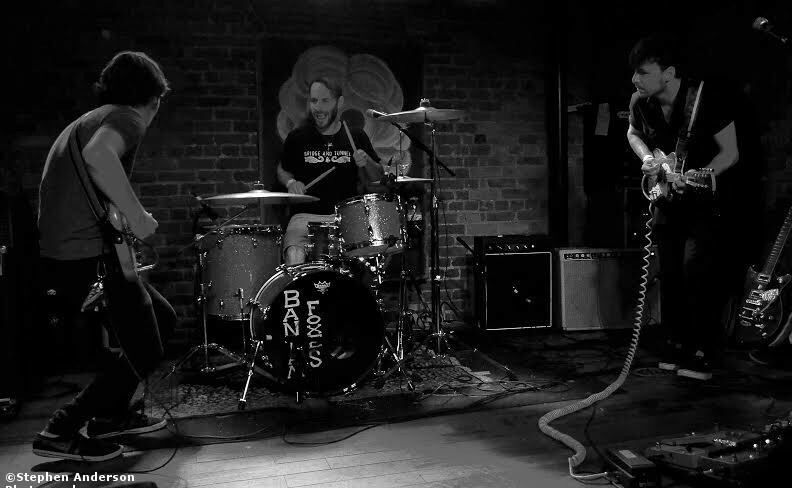 The influence of some of Rock’s best are truly felt when you see and hear Bantam Foxes perform, with a genuine appreciation for the music they obviously love and respect. 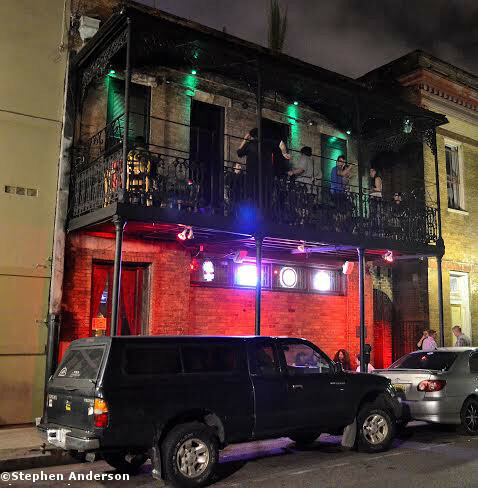 At the Freret Street show in New Orleans, I sensed a slight bit of the Ramones, only lengthier songs. The quick, fast “in your face” delivery felt right on all scales. Then at this most recent show in Mobile, I was able to fully appreciate them more than previous times. Watching these three musicians work the stage, swapping up vocals, instruments and lead, is quite a joy to watch. At times it was a bit 1990 Seattle, and other times a throwback to the bands of the Post-Grunge era of the mid-to late 1990’s. Often, bands try too hard or actually just don’t have the chops to pull off what is needed in making their music real and authentic. It doesn’t matter what genre, when it’s good – it’s good! when it’s bad, well….you get the opposite. There is nothing worse than having to sit through a set or two of a band with nothing to offer except noise. 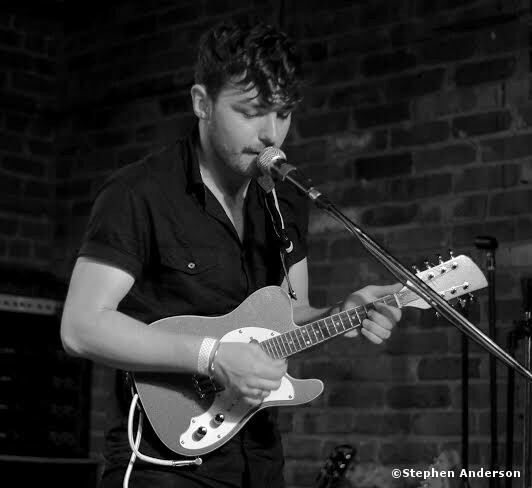 Loud isn’t always good, even with the most energetic forms of Rock & Roll. 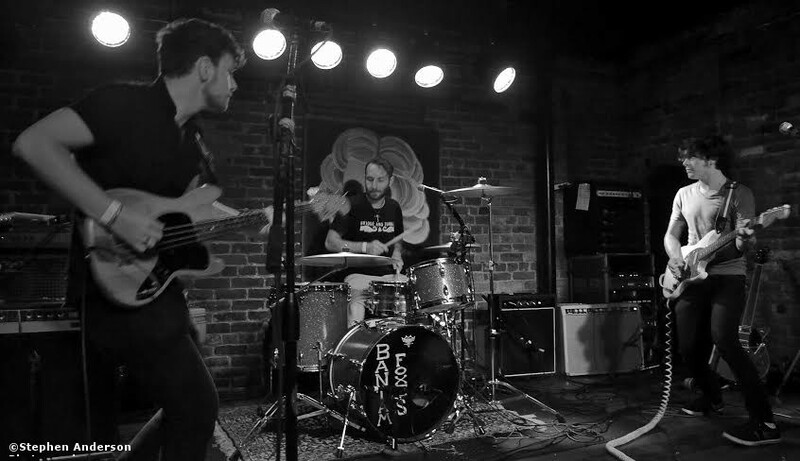 As a fan of great Rock music, and someone who has seen some of the genre’s best and most acclaimed bands in some of the most incredible venues this country has ever produced, whether it’s been the legendary CBGB or Athens, Georgia’s 40 Watt Club, it’s refreshing to see a young band that gives fans some hope. I’m not proclaiming Bantam Foxes as a band unmatched by no other, but I’m simply stating it’s so good to see a band having such fun, while not taking things ‘all too serious’. The nice thing about Bantam Foxes is that they can play their instruments, write quality songs, perform with incredible stage presence and actually are willing to make the sacrifices it takes to pull this whole crazy thing off. While talking with the McCabe brothers, they quickly spoke of their determination to follow this through. I’m excited about what they’re doing and applaud their willingness to keep taking bold steps in the right direction. 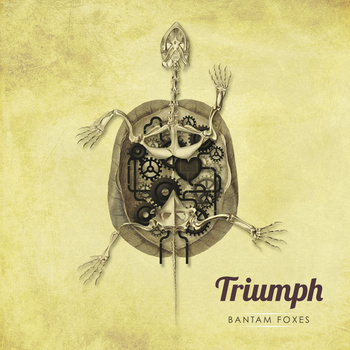 *Bantam Foxes’ first full-length album, “Triumph” was released last September (2013). 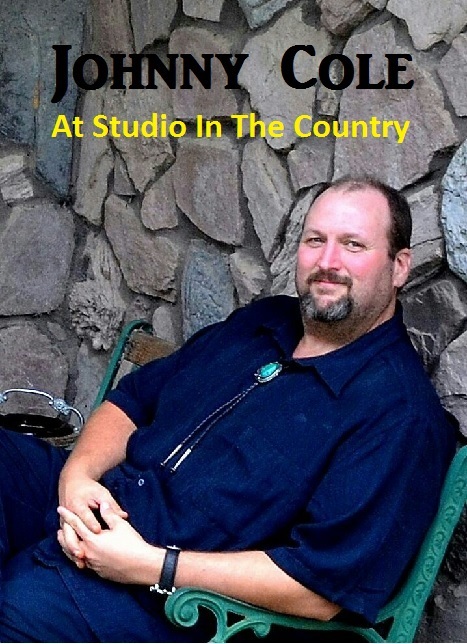 Be sure to get your copy by clicking HERE! 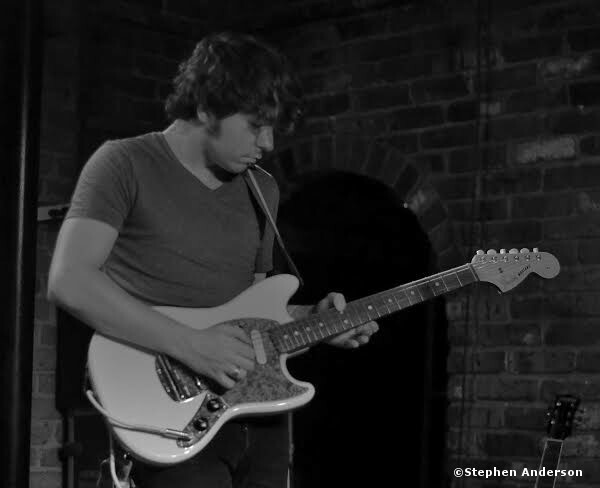 The recent show performed at Alchemy Tavern was perfect for a band with an edge. 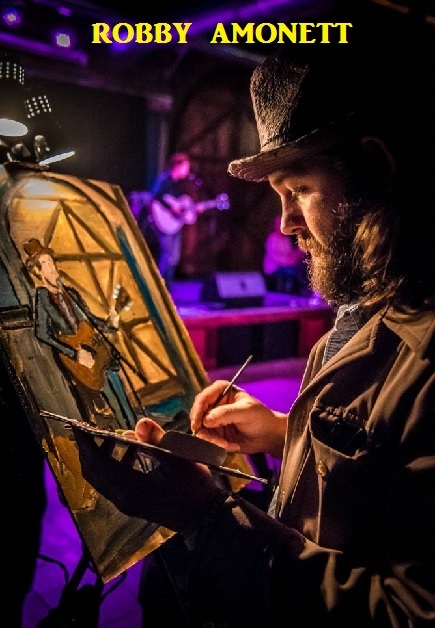 The dark upstairs brick walled room has a New Orleans feel to it, which probably made these guys feel right at home. I loved all the original songs done (some new and some from previously released material), but a highlight for me was actually a cover of Superdrag’s “Sucked Out”. It sounded fresh and newly owned. Bantam Foxes are presently doing shows across the Southeast, but I believe more could easily be on the horizon. 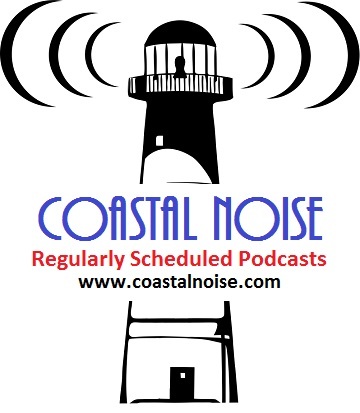 My suggestion is to check them out when possible and always support this kind of hard working band. What you, me and the next person likes most often differs, but when judging a band, especially a rock band, do so by their attitude and unbridled passion for what they’re doing. Rock on! To Purchase Their Music at iTunes: Click Here! 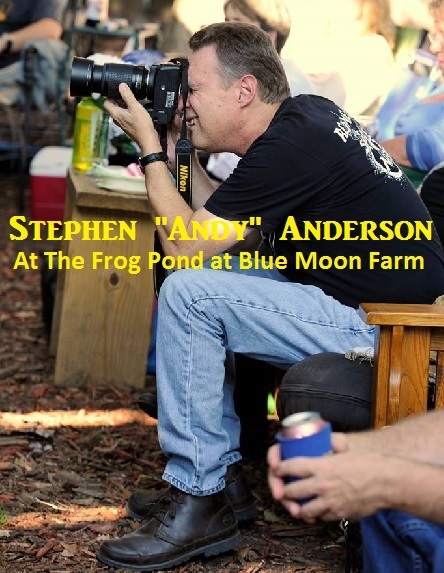 Be sure to visit Alchemy Tavern’s Facebook by clicking HERE! 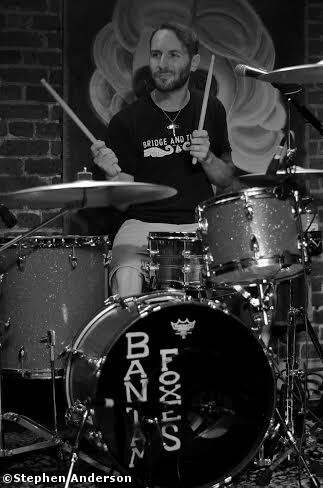 We want to thank Collin, Sam and Jared of Bantam Foxes for the music and nice time we had at their show in Mobile, AL. Tagged Alchemy Tavern, Bantam Foxes, Mobile Alabama.